March nail inspiration, time for some spring colour! March is here and although the weather is quite cold still we can say that spring is here. 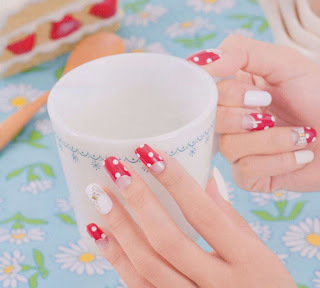 So this month's nail inspiration will have a spring theme. This time I present to you some nail ideas from ES Nail, a well known nail salon from Tokyo. 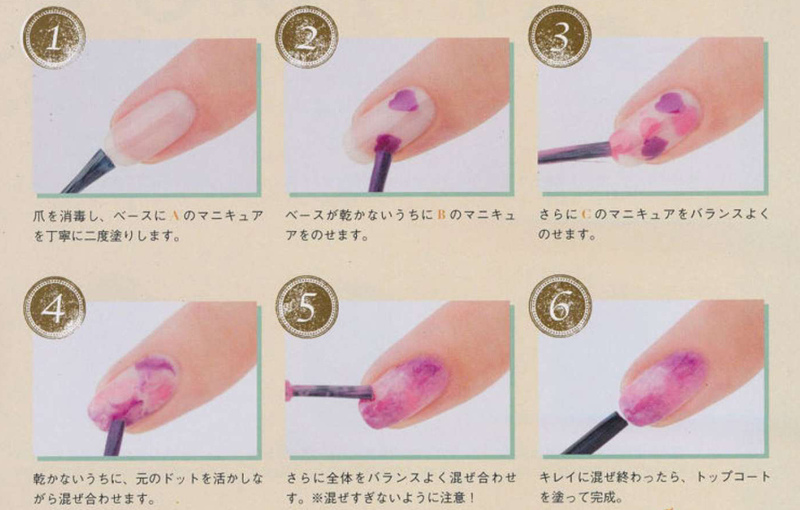 Recently they published a catalogue full of pretty nail art ideas. These pretty flower themed nails are on the cover. This look is not hard to achieve. 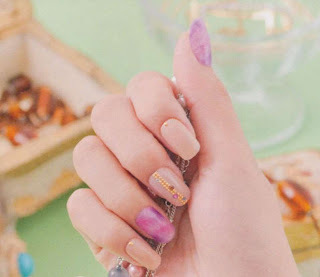 You just paint a half moon mani using the colours of your choice and then you either paint the flowers or use some flower nail stickers. Finally a touch of glitter and some bullions and you're done. 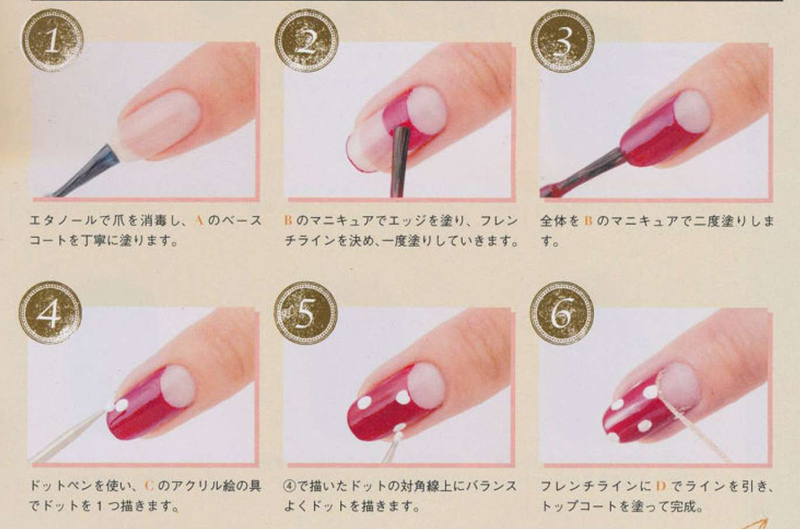 Here are a few more ideas for fun yet easy srping manicures. First a classic french spiced up with a few rhinestones. Polka dots. Here in red and white as pin up looks are very in this spring but you can basically use any colour combination you like. 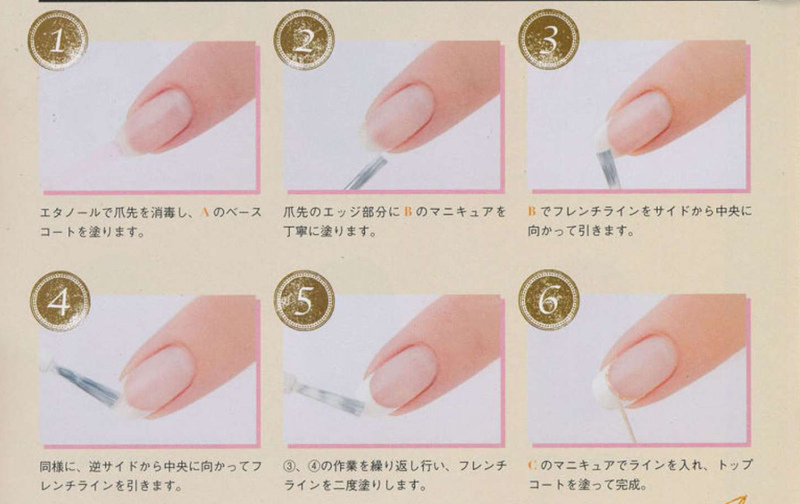 And last but not least here is a simple method for a marble mani (not requiring water or making a mess of your fingers). 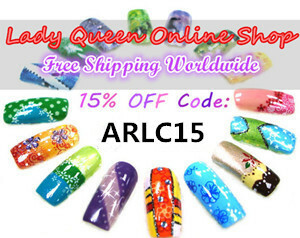 If you want to check out my previous nail inspiration posts you can find them here. So lovely! 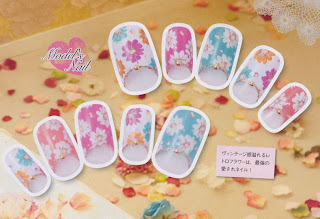 I may try the flower themed one to get into the Spring mood =] Thanks for sharing! I actually have a variation of it on right now, it's so fresh looking! I would love to see it, if you try it. Ahhh yes, I guess such awkward people exist everywhere, it can't be helped. The white half moon with floral below is quite fresh looking. 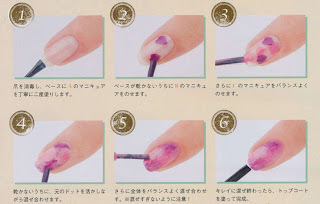 Maybe I'll try that with some of the Sally Hansen spring strips. That's such a great idea, it would work great with these!